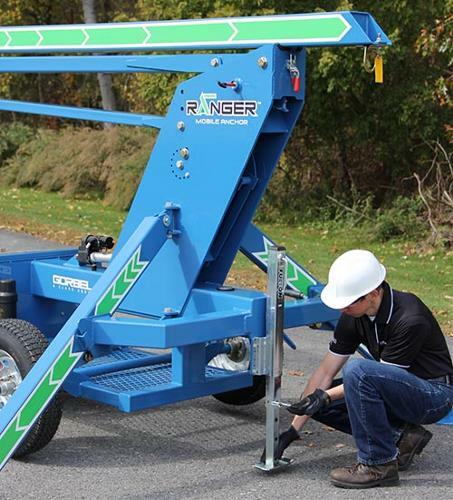 Ranger Mobile Anchor – perfect for tethering at various locations. 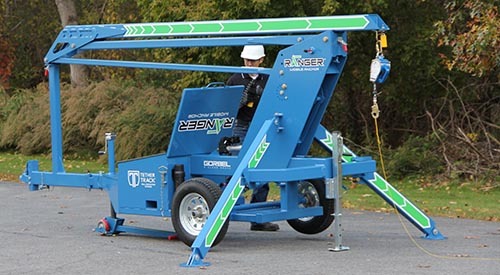 Acculift is excited to add the Ranger Mobile Anchor unit from Gorbel to our product line up. 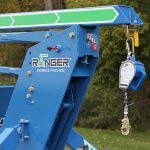 The Ranger Mobile Anchor provides a complete fall arrest system “on the go”, a portable unit that that is perfect for use when maintaining aircraft, rail road cars, industrial equipment, or heavy machinery. 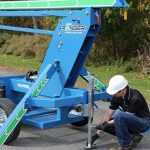 If you can’t bring the equipment to your safe tethering solution and you need to workers to go to where the equipment is located, this is your solution. This unit can be easily moved into place and extended so that the anchorage point is directly above the user as work is performed. 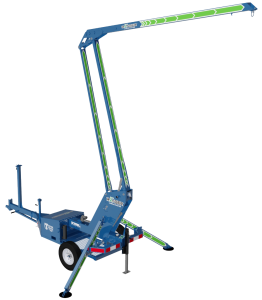 All components are readily accessible at ground level for quick adjustments, and the mast extends in a direct path for use in tight environments. 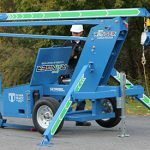 The design allows for quick attachment to a forklift truck, or related towing devices to position it where needed. In terms of a versatile tethering system, there is nothing else quite like it on the market. And this means cost savings for your business. Moving large machinery around and into safe facilities is time-consuming and expensive in terms of man-hours. 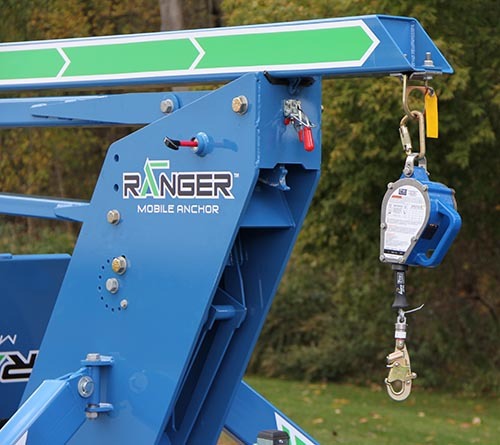 The Ranger Mobile Anchor moves to where you need your staff to be and that reduces wait times, reduces expense, and ultimately, pays for itself quickly. Contact us for a demonstration today or download the brochure.